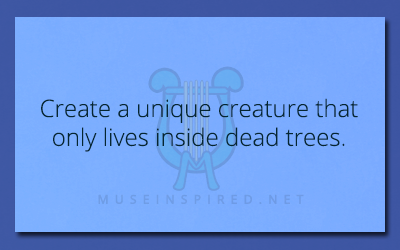 Crafting Creatures – Create a unique creature that only lives inside dead trees. Crafting Creatures - Create a parasite that infects humans and makes them do strange things. Crafting Creatures - Craft a mammal with thick fur favored for bedding.